When I was 22, I lived alone on the Oregon Coast for a year, just practicing, recording, dreaming, and going for 10-mile runs in the sand. I had been coming to this beach since I was a baby, and had spent hundreds of hours walking every bit of it. 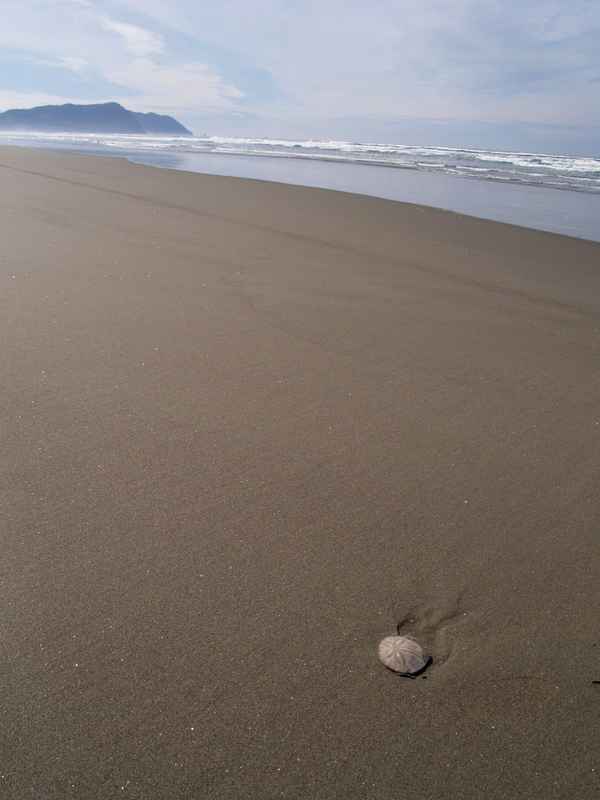 As a kid, our rare golden treasure was to find an unbroken sand dollar shell on the beach. It had happened maybe five times in my life. But that year, one cold spring day, when I had the whole beach to myself, I was out for a run, and I found one! A few minutes later, I found another! 30 seconds later, another, and another. I carried them in my pocket at first, but then had to take off my shirt to use it as a bag. By the time I got home, I had collected 232 unbroken sand dollar shells. I put them all out in the sun to dry, amazed at my good luck. I bragged to my family. This had to put me in our beach-house history book. I tried to think of all the things I could do with 232 sand dollars. After two days, the excitement wore off. I realized I wasn’t ever going to do anything with them. Now it was just stupid for me to keep all of these sand dollars sitting there doing nothing. The excitement was in finding them, not keeping them. That weekend was a big 3-day holiday weekend, and the beach was going to be filled with tourists. So Saturday morning at 6am, I took all 232 sand dollars, and went for a long 10-mile run on the beach, tossing them one at a time, very spaced out, so all the tourist kids could each find a few. By the end of my run, as I was heading home, I got the quiet satisfaction of watching two kids scream with excitement at finding one. Honestly, I had forgotten this story, but my friend Ben told it to my girlfriend last time I saw him, saying he thought it was the one story that summed up who I am. He made me promise to post it here.